Well, this year has come to an end. It was like riding the crazy train all year long. In terms of books, I thought the year started off strong, hit a pretty significant slump and then once fall rolled around, boom we had so many amazing books it was hard to keep with all the awesomeness coming my way. I swear I read five-star after five-star books for six weeks straight. Thanks to all of you on here, I love finding great recommendations from y’all and seeing your thoughts on the books that I loved or felt blah about. This one hit on everything I love the most when it comes to a romance book. Captivating characters, one being an ice princess. Yessss! Then make them badass athletes with a slow burn hate to love scenario. Well, you go me. I was hooked. This one just resonated with me and easily goes into my must read again and best ever categories. As close at it can be this one was right up there. So, so good. Ice princess medical student. A heartbreaking breakup and then that good old get the girl back with laying all the emotions out there. I love this series. An absolutely delightful book that was a breath of fresh air. So full of diverse characters and two mains who are just amazing. Emily O’Beirne is just an amazing writer, and in this book, she took her amazingness to a whole other level. Halfway through this one and I wanted to close it and start it back over. It was so damn good that I wanted to savor every chapter. This one was outstanding. Loved it! You have a fantastic mystery, a ton of corruption and a love story that just won’t quit. The two main are badass Secret Service agents with smoldering hot chemistry. I don’t need to say much more, do I? Yeah, the follow-up is one here too. This series has me hooked for sure. This book was one of the ones I was most excited about. Oh, and it so delivered! This one is better than the predecessors. It will stick with you long after the last page and have you impatiently waiting to meet up with these characters again. This is one of those books you find and just turn to mush because it did everything right. It took a hold of my heart, as sad as I was that the story was over, I was dazzled by its brilliance as well. I am so glad there will be more in this series. Tension, oh that glorious sexual tension. This was a long slow burn that was delightful. Everything about this book is done right. The writing is crisp, the characters, well they were amazing and the dialogue could go from biting to amusing at the flip of a page. Ashley Bartlett has me spellbound with this series. This is one of the other books that I was so excited about finally getting my hands on this year. I love how she writes, it’s fast-paced and sharp. Her characters are multi-faceted that live their lives in a grey area of a whole lot of wrong but is it really that bad? This is the moral dilemma of epic proportions that haunts both or our main character. Cash the lovable drug dealer and Laurel the undercover cop that is head over heels in love with her. SOOOO GOOD!!!! A roller coaster ride of awesomeness is what this book is. Twists and turns with a ton of sexiness. This psychological thriller like no other is the f/f romance genre. You cannot put this one down once you start. 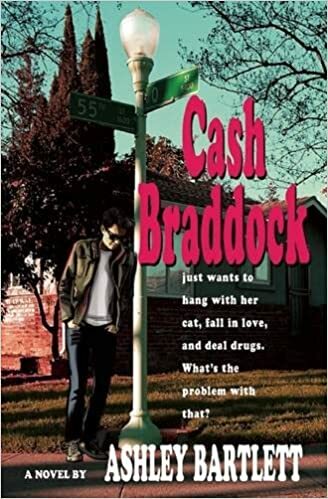 Last year when I read Cash Braddock I was floored by the story’s paradox. Cash is a drug dealer with a heart of gold. You cannot help but love her soft heart, funny quips and bucket loads of sarcasm. Her career of choice is reprehensible, absolutely. The thing about this character is she makes you care deeply for her and the predicament that she finds herself in knowing that it is wrong but finding ways to justify her actions. 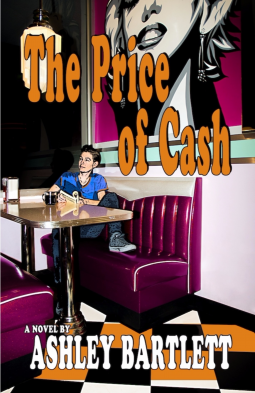 This year, Cash Braddock is back in the Price of Cash. Life has changed immensely for the character and her growth is palatable. Warning: If you haven’t read the first book and you are thinking that you might. Stop reading this review!!! I’m about to spoil a big reveal in Cash Braddock. Go read it. It’s amazing, I totally promise! Cash comes back in the Price of Cash heartbroken, pissed and despondent at the curveball life has thrown at her. 100% in love with Laurel all those feelings have to be pushed aside because her dream girl is actually an undercover police officer and now her handler. Cash must also take a good hard look at where her life is going. Is selling soft drugs any better for society as opposed to heroin or cocaine? A moral dilemma of epic proportions and one she will wrestle with throughout the story. Add to it that college students and former customers of Cash’s are now dead thanks to a new drug on the street. While the book is written through Cash’s POV Laurel remains our other main character. As much as I love Cash, Laurel is the one I am most drawn to her. A stoic, tough law enforcement officer, Laurel struggles with her feelings for Cash. She absolutely wasn’t faking her feelings for her mark, more than anything she struggles with what to do with her attraction and love for Cash. She absolutely should not have these feelings but she cannot stop herself. The chemistry between Cash and Laurel is fantastic. This match has tension, heartache that pulls you deep into their dilemma. You want them to go for it and damn the consequences. It is so good! The whole book is fantastic, the love story, the crime, supporting cast, really top notch. Ashley Bartlett has written a fabulous follow-up. I cannot say enough good things about this one. I am absolutely hooked on this series! Cash Braddock by Ashley Bartlett was not going to be on my list of December reads. I scanned the cover and was meh, I have too much to do to add this one. A weekend of terrible weather, and boredom of running the treadmill, I succumbed and picked this one up. Why I gave it a go? Basically, for the fact that Cash is a drug dealer. What an interesting premise in which our main protagonist is actually kind of a bad girl. reprehensible, she is also sweet, caring, witty and sarcastic in the best possible way. Imagine a character that goes from peddling Adderall to quoting Plath and Wilde while sipping craft beer all withing the course of an hour. Cash in a conundrum in the best possible ways. Laurel is Cash’s would-be girlfriend. These two meet and the chemistry is instantaneous. They challenge each other intellectually, open up over past hurts underneath the stars all the while dancing around actually dating. You as the reader, see the beginnings how these two are each other’s other half. True love is in the making. Hold the phone, though, nothing ever worthwhile comes easy, and this is a romance novel, so we are going to have to ramp up the tension. Laurel is super into Cash, but something is holding her back. I’m not telling you, what that something is either. You can read the book and gasp out loud at 1:00AM like I did. I loved that this book is so different. There were moments I laughed out loud, pop culture references that I adored and parts I cringed because I’m a good girl and Cash is kind of bad. I relished the moments that Laurel and Cash spent alone. These two are really a good match and their chemistry just jumps off the page. Playful, serious and sarcastic all rolled into one harmonious pairing. The story is great, the characters are fantastic and the twist, well I never saw it coming. The ending is kind of abrupt, so I find myself impatiently waiting for the next book in the series, but loving the time I spent with this one. For once, I am actually glad that bad weather kept me inside.